Site Sage are specialist Party Wall Surveyors based in Loughton, Essex and accept work in all London areas and its surrounding counties. Build a new wall near or on a boundary line. Repair an existing party structure. Alter a party structure, such as demolish and rebuild, raise or lower, build in beam-ends, cut into or away from etc. Temporarily expose a party structure to the weather. Excavate in close proximity to a neighbours property - up to 6 metres distant. Found out that your neighbour is undertaking relevant work without informing you. If so you will need to quickly decide how to deal with it. Whilst the forgoing are broad descriptions of functions Site Sage might perform, if circumstances dictate, the service can be restricted to particular individual tasks. Party Walls is a specialist subject. 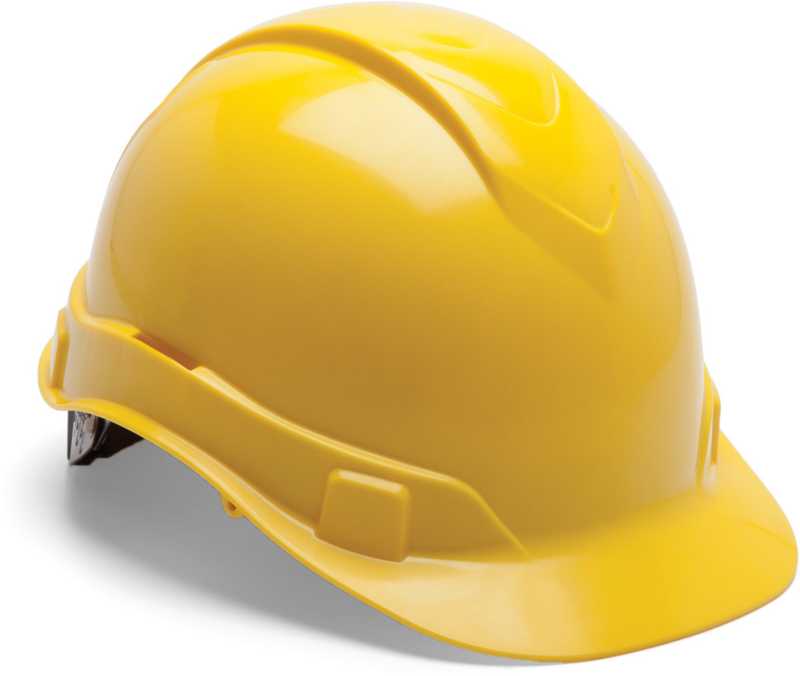 Site Sage have an extensive knowledge of construction, (both the technology and practise) as well as long experience and a thorough understanding of the Act. Site Sage pay attention to detail and take their duties seriously. Whilst we are thorough, we are ever mindful of the need to deal with matters as efficiently as possible. Fees are competitive. 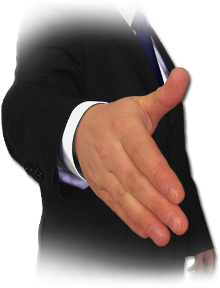 If you are an Adjoining Owner, in almost all cases, your surveyors fees will be met by your neighbour. Site Sage are specialists in preparing access agreements to enable building owners to carry out maintenance or improvement works to their property. The need to obtain access to real property (land, air and soil) belonging to neighbours is becoming more and more a feature of development in the cities and towns of the UK. English law presents an obstacle to developers requiring access to land belonging to others. This takes the form of the tort of Trespass, specifically what was historically referred to as Trespass "quare clausum fregit" in relation to real property. Developers who do not consider properly the extent and nature of access that they require to the real property of their neighbours are at risk of incurring serious delay and cost to their schemes in the event that proceedings are brought against them for trespass. Party Wall Surveyors are not authorised by statute to become involved in the negotiation of Access Agreements. Their role is clearly defined and limited by the Party Wall etc Act 1996. It is, however, common for Party Wall Surveyors to receive separate instructions from their developer clients to take on a separate role assisting in the procurement of Access Agreements. In this manner, Party Wall Surveyors often find themselves fulfilling a dual development role. In this explanation of access principles, we use the expression Access Agreement to include any oral or written agreement granting access to land belonging to others. Such agreements might be more commonly called "oversailing licences" or "access licences". Trespass (to pass beyond) is a wrong or tort, which became common in the reign of Edward I. It is thus a very old tort. The law relating to trespass is established and settled. A "Trespasser" is one who goes onto land without any invitation of any sort and whose presence is either unknown to the proprietor, or, if known, is objected to (per Lord Dunedin in Addie v Dumbreck 1929. The tort of Nuisance is often also cited as a reason for preventing the uninvited presence of someone on, over or under property belonging to others, but the stronger case will usually always lie in the tort of Trespass. Cuius est solum est usque ad coelum et ad inferos"To whom belongs the soil, his it is, even to heaven and to the middle of the earth." Accordingly, is possible to commit a trespass on real property belonging to a neighbour belonging in any one of three ways involving uninvited presence (1) in the ground beneath land, (2) on the surface of the land itself or (3) in the air above the land. Commercial aircraft entering airspace over the land of others and the mining/extraction of minerals below the surface of the same land are activities permitted by statute and as such do not constitute trespass. The most common legal remedy for trespass is a prohibitory injunction to stop the trespass. This is, sometimes coupled with damages also. Proprietary rights are held in great importance in English law. Although injunctive relief is an equitable remedy and is always given only at the court’s discretion, claimants are generally entitled, as of right, to an injunction to restrain a trespass. The preferred remedy will, thus, usually be an injunction rather than damages, but the courts are entitled to award both an injunction and damages in appropriate (but very rare) circumstances. "It is in my judgement well established that it is no answer to a claim for an injunction to restrain a trespass that the trespass does no harm to the plaintiff. Indeed, the very fact that no harm is done is a reason for, rather than against, the granting of an injunction: for if there is no damage done the damages recovered in the action will be nominal and if the injunction is refused the result will be no more nor less than a license to continue the sort of trespass in return for nominal payment"
But neighbours are not obliged to grant permission for access to their property and they can impose whatever conditions on such permission as they like. The conditions do not have to be objectively reasonable. The limited statutory rights of access that are available to a developer are explained in the next section. This Act applies to England and Wales only. It does not assist developers in Scotland or Northern Ireland where there is no comparable legislation. The provisions of the Party Wall etc Act 1996 are administered by surveyors assisted by engineers and solicitors as necessary to the circumstances. Access rights are normally dealt with in the Party Wall Awards drafted by the surveyors pursuant to their statutory obligations provided such rights are necessary to the work being undertaken. These access rights extend to forced entry to unoccupied premises provided that such entry is forced in the presence of a police officer. A neighbour who refuses lawful access under the Part Wall etc Act 1996 will be guilty of an offence and will be liable to a fine. The extent of these access rights are not limited by the Act itself in terms of duration or physical extent and the Act does not require the payment of any access fee by the developer. Refer to Watts and Partners separate explanatory paper on Party wall matters for further information concerning the Party Wall etc Act 1996. As with the Party Wall etc Act, the Access to Neighbouring Land Act applies to England and Wales only. It does not assist developers in Scotland or Northern Ireland where there is no comparable legislation. The provisions of the Access to Neighbouring Land Act 1992 are essentially administered by solicitors assisted by barristers and surveyors as necessary to the circumstances. 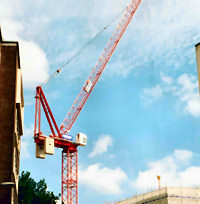 At the courts discretion, if it is considered fair and reasonable in the circumstances, basic preservation works can include making some alteration, adjustment or improvement to land or demolition of the whole or any part of a building or structure on land, but only if such work is necessary for the preservation of the developer’s land. Ultimately, the building works that are within the contemplation of the Act, are of a repairing and maintaining nature and do not include new development works. Access for execution of any of the works contemplated by the Act is obtained by applying to either the High Court or a county court for an Access Order. The provisions of the Act are not much used in the real world. This is possibly because the circumstances in which the Act applies are quite narrow, or because the threat of use is normally sufficient to bring an unco-operative neighbour to their senses. The court can require the applicant to pay to the neighbour an amount of money in consideration of the access granted. The amount can be a significant sum and should certainly not be dismissed as nominal. It should be noted that the Occupiers Liability Act 1957 and the Occupiers Liability Act 1984, although relevant to trespass, concern themselves not with access rights, but with duties to trespassers in terms of their health and safety. Neither of these two Acts is relevant to the ability of developers to access the land of others legally. are not sufficient justifications for trespass. Outside of the statutory rights identified in the previous section, a developer has to rely on, Common Law rights of access, such as they might exist. The problem for developers is that English Law does not recognise any such legal creature as a Common Law right of access. They do not exist for development works. Rights of access for specific development works cannot be acquired by prescription as easements in the same way as can rights of way and rights to light. Accordingly, developers cannot seek injunctions from the courts forcing neighbours to allow access. There is a limited exception to this general statement. Injunctions might be obtained in circumstances where a developer has reserved rights of access to neighbouring land (for example, in an earlier sale of that neighbouring land to the neighbour) and the developer is being prevented from exercising the right of access. This exception is not encountered that often however. In the absence of statutory assistance, developers must seek, and obtain, consent from their neighbours to access the adjoining land. This consent is normally recorded in some form of agreement, which, for the purposes of this technical paper, we refer to as an Access Agreement. In the absence of reserved rights of access, there is no legal obligation on a neighbour to allow or otherwise grant permission for access. Access can be refused completely or, alternatively, a neighbour may attach conditions to such access. There is no legal requirement on an owner to act reasonably. Furthermore, there is no legal requirement on a neighbour to act promptly and timeously in considering a request for access. This, understandably, can lead to much frustration for developers and their advisers and a sense of injustice. "There is a sense in which the grant of an injunction against a trespass enables a landowner to behave like a dog in a manger"
In the circumstances described above, a neighbour occupies a very strong negotiating position in relation to rights of access sought by a developer and it is important to ensure that good relations with neighbours whose co-operation is, or will be, required to complete the scheme are maintained. If relations sour badly, or if a developer is simply faced with an unco-operative neighbour, the only solution to enable construction of a particular scheme might be to modify the design in a way that avoids the need for access to other properties. We recommend that developers and their advisers regard access issues as simply another part of the risk management process rather than something that is out of their control. It is an area of risk for which a strategy can be set just as with any other aspect of a development. Developers and their designers are advised to identify, as early as possible, and in as much detail as possible, the specific access requirements for each scheme. An understanding of the physical extent of the site is essentially and this obviously relies on good information as to the location of the boundaries to the site. The proximity of the proposed development envelope in relation to the boundaries is important as is an understanding of the use to which the surrounding properties are put. The identity of all parties with a legal interest in adjoining buildings and the nature of the business conducted at the property must also be appreciated. It is always more economic to deal with all access requirements in relation to each parcel of neighbouring land as a package at a single point in time rather than on a piecemeal basis. Developers and advisers should consider the need for, and nature of, Access Strategies to minimise risk to their schemes and make the most accurate budgetary allowances as possible within their feasibility studies. In our experience, where neighbours are minded to co-operate, consultants and advisers are able to progress and complete relatively simple neighbourly negotiations relating to access without any need for direct involvement of representatives from the developing organisation. There are however, problematic circumstances from project-to-project that can often only be satisfactorily resolved by the involvement of high-level representatives from the developing organisation and the neighbour. Thus, on larger and more complicated schemes, developers themselves must be prepared to consider the psychology inherent in a situation and grapple with some detail before permission for access is obtained. Access problems are often made all the more acute by developers who try to distance themselves from such issues. Finally, when dealing with "the neighbours" the motto "do as you would be done by" holds a lot of truths. There is no right or wrong answer as to the type of Agreement adopted although, the more complicated the nature and extent of the access required (and the more numerous the number of parties involved) the greater the tendency for the rights to be formally recorded in writing (and, more particularly, by licence). There is no recognised procedure or protocol for negotiation of Access Agreements on projects. There is no programme to follow controlling time and there are no recognised scales of payments for licence fees or professional fees. The procedure for procuring permission to access land is thus relatively unstructured and shapeless. The procedure need not involve surveyors and solicitors if developers are happy to advance discussions themselves, but, on significant projects, surveyors and solicitors will normally be involved. Access Agreements will be executed by the developer and neighbouring owner (or owners) directly, unless they have appointed agents/attorneys for this purpose. It must be noted that Party Wall Surveyors have no statutory power to execute such licences for either a developer or their neighbour. Access Agreements can be entered into by contractors rather than developers, but on large developments it is more common to find the licence completed between developer and neighbour. There is no reason why a developer and their appointed contractor cannot be co-signatories to a licence with any number of owners. provided they do not contain reinforcement, to place the projecting parts of new footings on an Adjoining Owner’s land. [s.1(6)]. to underpin, thicken or raise a party fence wall [s.2(2)(a)]; [s.2(2)(l)]. to make good, repair, demolish and rebuild a defective or dilapidated party fence wall [s.2(2)(b)]. to cut away any footings, projecting chimneybreast, jamb, flue, or other projection over the land of the Building Owner for any reason, including erection, raising or underpinning of the wall or for any other purpose. [s.2(2)(g)]. to raise or demolish and rebuild a party fence wall with the intention of using it as a party wall i.e. enclosing upon it to create a building. [s.2(2)(l)]. to reduce the height of a party fence wall to a minimum height of 2 metres if the Adjoining Owner uses the wall as only a boundary wall, or to the height required by any building of the Adjoining Owner. [s.2(2)(m)]. to underpin, thicken or raise a party wall [s.2(2)(a)]. to make good, repair, demolish and rebuild defective or dilapidated party wall [s.2(2)(b)]. to demolish and rebuild a party wall which is of insufficient height or strength for the Building Owner .[s.2(2)(e)]. to cut into a party wall.[s.2(2)(f)]. to execute any work associated with the connection of a party wall to the premises adjoining it. [s.2(2)(j)]. 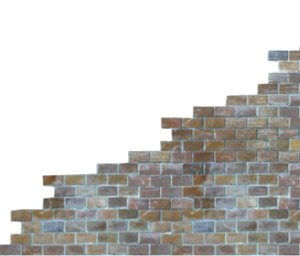 to reduce the height of or demolish and rebuild a party wall to a minimum height of 2 metres if the Adjoining Owner uses the wall as only a boundary wall, or to the height required by any building of the Adjoining Owner. [s.2(2)(m)]. to expose to the elements a party wall formerly enclosed subject to the provision of adequate weathering. [s.2(2)(n)]. to cut away, from the external wall or boundary wall, any footings, projecting chimneybreast, jamb, flue, or other projection over the land of the Building Owner for any reason, including erection, raising or underpinning of the wall. [s.2(2)(g)]. to cut away or demolish any parts of the wall or building overhanging the Building Owner’s land or a party wall, but only to the extent that removal of the part is necessary to enable the raising of a new wall against the wall or building of the Adjoining Owner. [s.2(2)(h)]. to cut into the wall in order to enable the insertion of a flashing or some other weatherproofing detail. [s.2(2)(k)]. Site Sage has provided CDM Coordinator service in accordance with the Construction (Design and Management) Regulations 2007, since 2007. We now provide a Principle Designer service under the revised Construction (Design and Management) Regulations 2015. The key aim of CDM2015 is to integrate health and safety into the management of the project and to encourage everyone involved to work together. 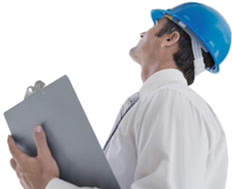 Other services include site safety visits, which consist of a thorough inspection of the construction site, an inspection of the site files to check whether weekly checks and other company procedures in place are being adhered to by the construction manager. 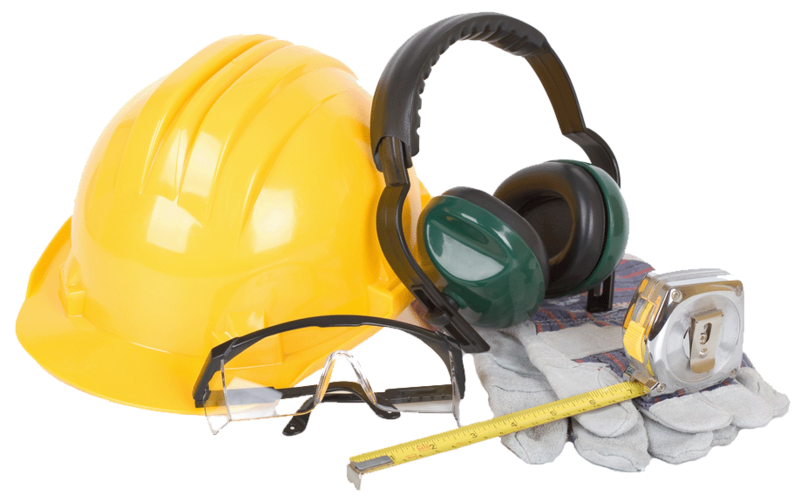 Our findings are summarised on a report which will indicate whether health and safety matters on site are acceptable or require remedial action. 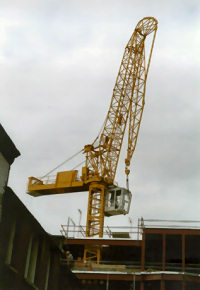 A copy is left with the site manager and a copy is forwarded to the company’s head office. Please click here to view an example report. For one off advice, we are happy to attend site meetings, interviews on an hourly rate, however we prefer to give fixed rates for set tasks, as we are aware that most clients prefer cost certainty. Alternatively, for larger sites our services can be booked on a daily rate, please click here for cost details. Site Sage are specialist Building Surveyors based in Loughton, Essex. We provide building surveys for commercial and domestic properties, in all areas of London and the surrounding counties. We also able to provide a Schedule of Condition for the acquisition of commercial leasehold premises and full Schedule of Dilapidations for existing premises where the lease has expired, been terminated or renewed. Site Sage will survey isolated building defects upon request, such as structural cracks, sagging roofs, dampness, insect attack etc. We will inspect the problem and prepare a clear concise report. Our report will detail the cause of the defect, and make specific recommendations about its repair.